Way back in 2005, Fox Racing Shox introduced the monster that was the original 36. In that golden age of the long travel single crown fork, the 36 emerged alongside the likes of the Manitou Sherman, the Marzocchi Z-150 and the RockShox Totem, all of which were pushing the boundaries of the single crown fork at the time. Originally launched with the fixed-travel Float air spring, the 36 was later offered in a travel-adjustable Talas model, and a coil-sprung Vanilla model. As it has been modified and improved over the years, the 36 also grew to accommodate 27.5in wheels, and then 29in wheels too. For 2018, the 36 remains as Fox’s flagship long-travel trail / enduro / bikepark fork. There are no longer Vanilla or Talas options, but it still has tonnes of travel – and those burly 36mm diameter stanchions. However, almost everything else has changed. Head to head: the 2018 Fox 36 and the RockShox Lyrik RCT3. In fact, for 2018 the 36 was completely overhauled. There’s a new chassis, and the sealed FIT damper cartridge has also been refined over last year’s fork. The biggest change however, is the all-new EVOL air spring design. 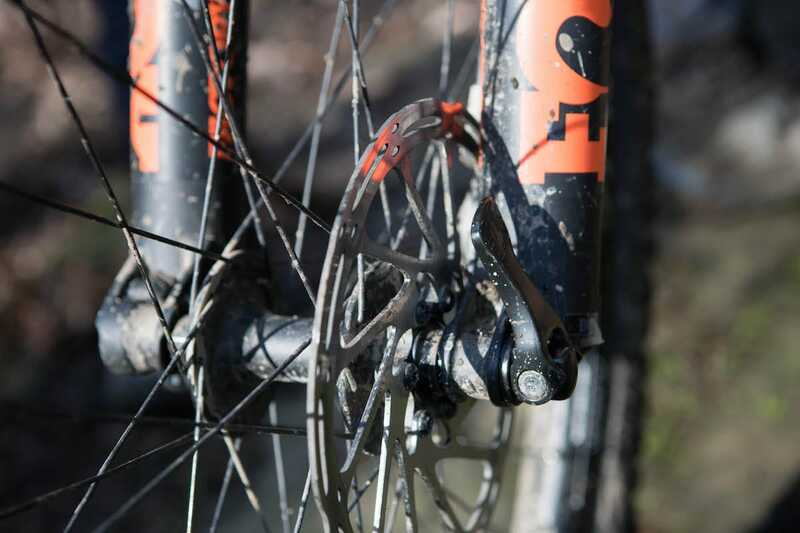 For the past six months, we’ve been testing a 29er Float 36 with 150mm of travel. 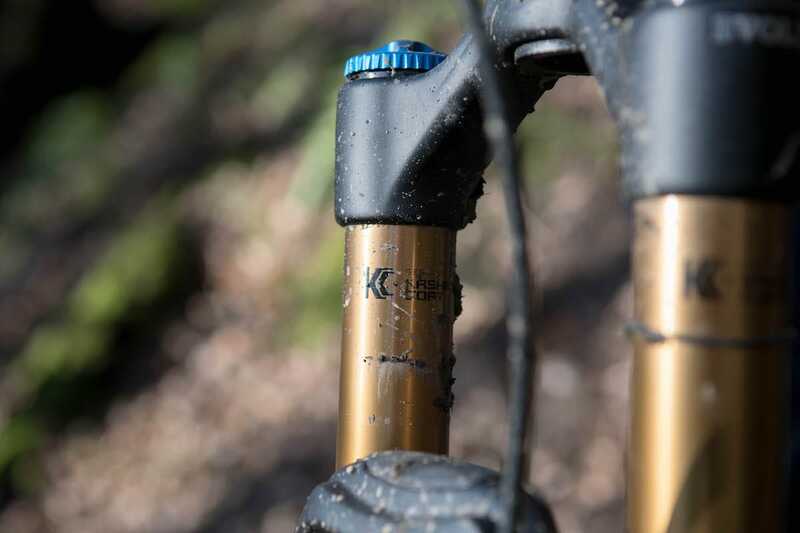 It’s the top-end Factory Series model with gold Kashima Coat stanchions, and it features the FIT HSC/LSC damper that offers independently adjustable high and low-speed compression damping. 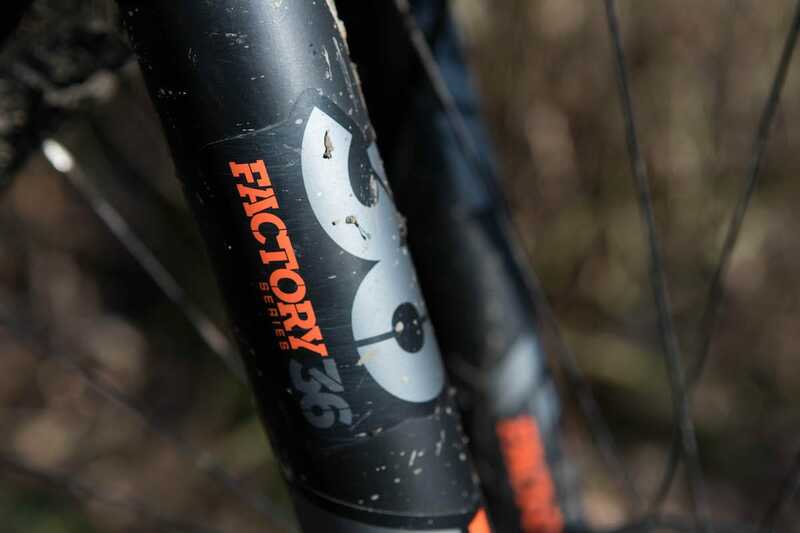 Alongside the 36, we’ve also been testing RockShox’ new Lyrik RCT3 fork, also in a 29er version with 150mm of travel. So how does the new 36 perform? 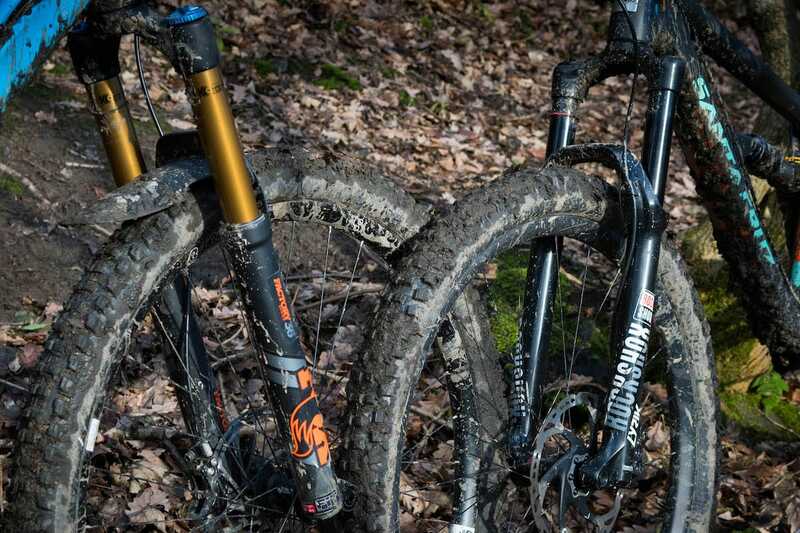 And how does it stack up against RockShox’ flagship fork? 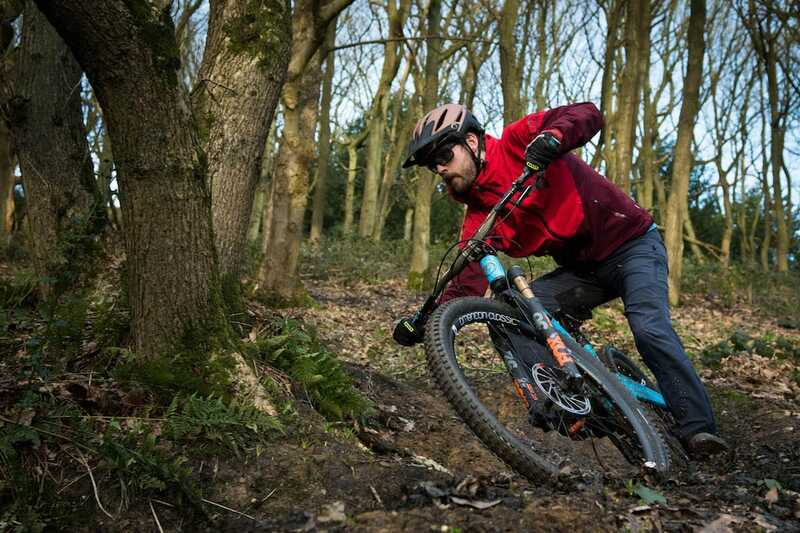 The top-level Fox 36 costs a cool £1129. Yes, this is a fork that costs over a thousand pounds. 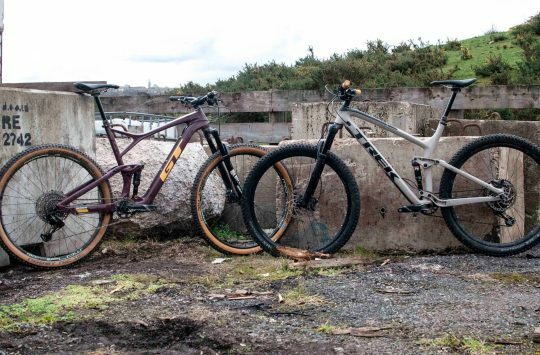 But while we’ve been testing the ‘Gucci’ edition, Fox does offer the 36 with a variety of options. You can get the same fork as here but with a simpler FIT4 damper that limits some of the compression adjustments for a more basic 3-position dial. There’s also an all-black Performance Elite model that skips the fancy Kashima coating, and comes in at £949. And while it’s only available on complete OEM bikes, Fox also makes the 36 in a Performance model that uses a cheaper still FIT GRIP damper. Damper options aside, the 36 can be had in 26in, 27.5in and 29in sizes, and you can specify Boost, non-Boost or a 20mm axle. 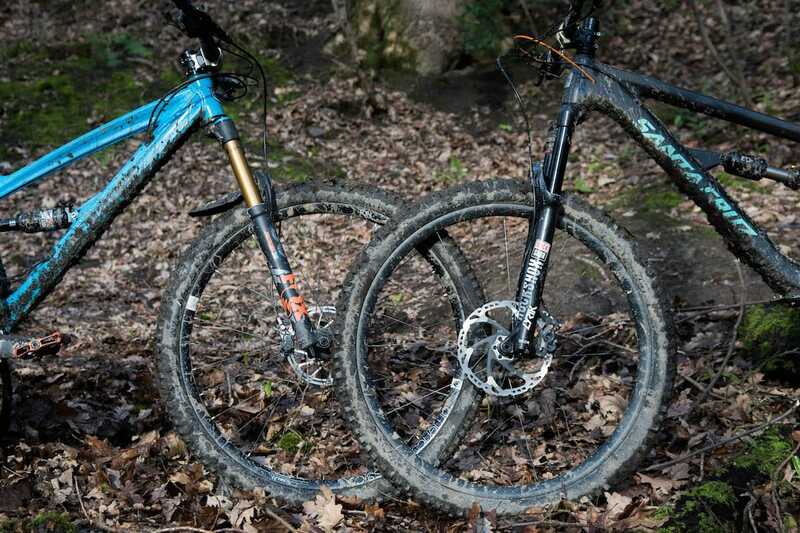 Both the 27.5in and 29in forks are available with 150mm, 160mm or 170mm of travel. There’s even a straight 1 1/8in steerer too, though only for 26in peeps. As is all the rage these days, Fox even makes an e-Bike version too. That sounds a bit ridiculous, but it isn’t. The e-Bike version simply comes with a more robust crown, steerer and thicker-walled stanchions to handle the extra mass of an e-Bike. This burlier chassis is actually the preferred option for Chris Porter (of Mojo Rising and Geometron fame), who cites the reduced flex as being a significant performance booster on his regular full suspension bike. e-Bike or otherwise, that version may be something that heavier and more aggressive riders may wish to consider. For the regular version, Fox states that the new 36 retains a similar weight to the 2017 version while actually being stiffer (bet you didn’t see that one coming). As we weren’t able to get out the office strain-gauges (we keep those in the office loo), we’ll have to trust Fox’s claim on stiffness. 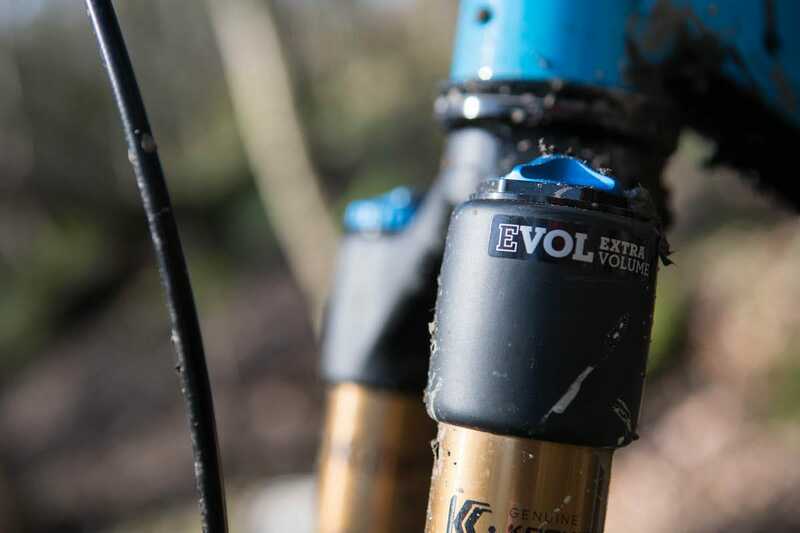 Certainly these feel as robust as previous 36 forks we’ve tested – there are no complaints there. Like all Fox forks, the 36mm stanchions use tapered walls to help decrease weight, while some massaging of the magnesium lowers has helped to trim grams elsewhere too. With the steerer cut to 170mm, our test fork weighed in at 2.02kg with the star nut and the 15mm thru-axle installed. Funnily enough, that’s actually identical to the Lyrik RCT3. While we’re comparing, the 36 doesn’t have quite as much tyre clearance. Fox says it’ll fit up to a 2.5in wide tyre, whereas the Lyrik has clearance for a 2.8in tyre. Both can accommodate a 27.5+ setup, but if you want to get big with 29er rubber, only the Lyrik will squeeze in those new-school 2.6-2.8in wide tyres. The biggest change for 2018 is the new EVOL air spring design. The biggest change on the 36 Float is the implementation of the EVOL air spring. The 36 still uses air for both the positive and negative springs, but the relationship between those two springs that has changed. Brought over from Fox’ rear shocks, the EVOL design boosts the volume of the negative air chamber relative to the positive air chamber. The goal here is to improve off-the-top suppleness so the fork is more active in the beginning stroke. The entire spring curve has also apparently been changed, with greater linearity overall and more support through the mid-stroke. 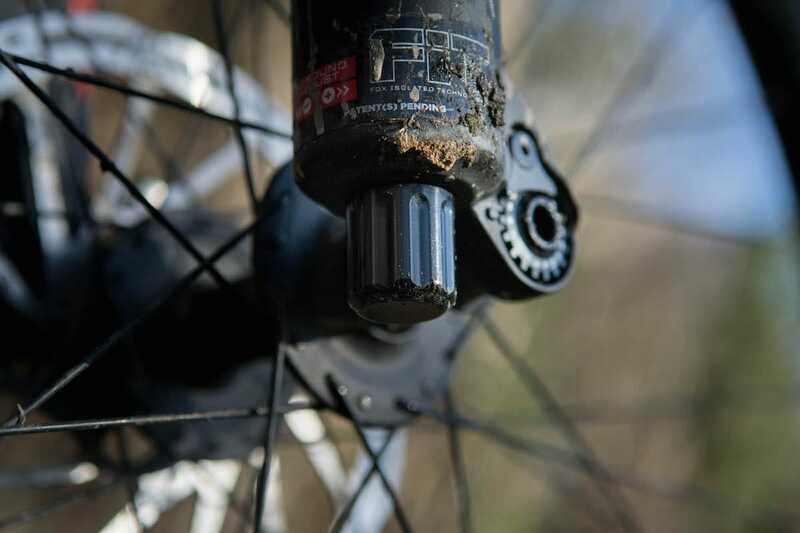 The air spring assembly emulates that of Fox’s shorter travel forks, which means the central rod from last year’s 36 fork has been removed in favour of a simpler system with fewer seals to reduce stiction. 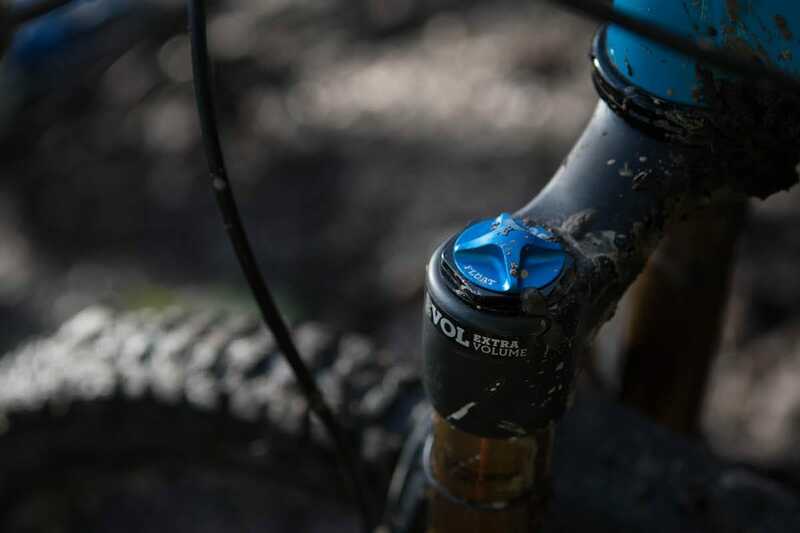 The plastic poker chip volume adjustment system remains so, much like RockShox’ Bottomless Tokens, you can add or subtract spacers to change the ending stroke ramp-up. Likewise, the 36’s travel isn’t easily adjusted. If you want to lengthen or shorten the travel, you’ll need a new air shaft to do so. We’ve got the HSC/LSC model that gives you more tuning options. Inside the other fork leg is the fully-sealed FIT damper cartridge. Compared to open-bath forks, the FIT damper houses all the damping fluid and gubbins inside an expandable rubber bladder. Aside from keeping the damping more consistent with less chance for the oil to froth up, the FIT damper also makes servicing dead simple. General servicing only requires you to replace the splash fluid in the lowers, and if you do have a more pressing issue with the damper itself, it can be removed from the fork and sent off to Fork Boffins for bleeding or further diagnosis and repair. If you’re wondering, by the way, Fox recommends giving the forks a full service (new seals, fresh oil and a damper service) every 125 hours. A neat alloy cap protects the rebound adjuster. 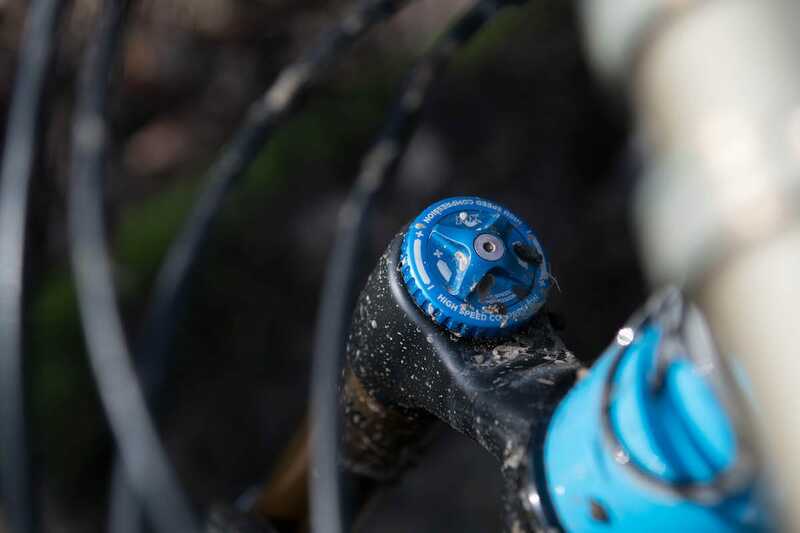 For the FIT HSC/LSC model we’ve been testing, you’ll find the rebound adjuster at the base of the fork where it’s hidden and protected by a black threaded cap. 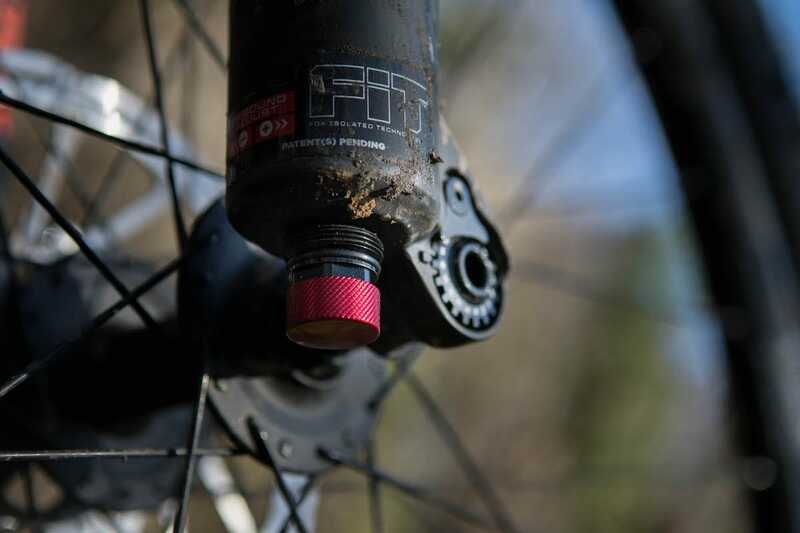 By restricting oil flow, rebound damping slows down or speeds up the rate that the fork returns. While the red rebound dial mostly affects low-speed rebound damping, it also affects high-speed damping to a lesser degree. At the other end of the damper are two blue dials; the outer dial controls high-speed compression damping (22 clicks) and the inner dial controls low-speed compression damping (26 clicks). The idea is that you can adjust low-speed compression damping to reduce brake dive and bobbing, while having independent control of the fork’s behaviour at more violent speeds. Air pressure is adjusted with a single valve up top. With all those dials and adjustments, it does take some fettling to get the most out of the 36. Air pressure is adjusted via a single Shraeder valve underneath the blue alloy dust cap on top of the left side of the crown. Because the air chambers are designed to self-equalize, that means whenever you alter the air pressure, you’ll need to compress the fork a few times to allow the air to balance. Once you’ve done that, recheck the pressure again. For my 70kg riding weight, I ran 67psi inside our test fork. This allowed the fork to sag 27% into its travel while standing up on the pedals in a stationary position. 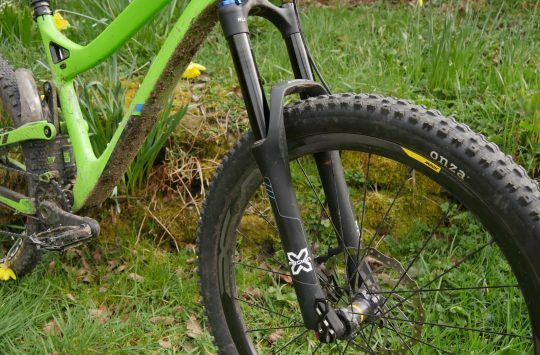 The 150mm fork comes fitted with two volume spacers from the factory, though there’s room for up to seven if you want more progression (note: the number of spacers you can run varies depending on how much travel your fork has). Personally I found the stock setup to be ideal, but it’s nice to have that adjustability on hand. I set the rebound damping exactly halfway with 10 out of 20 clicks. As I prefer a plusher suspension feel, I left both the low and high-speed compression adjusters wound fully open to begin with. That said, because it felt so good and I had no issues with diving, I ended up leaving them there for the duration of the test period. Fork off: Barney and Wil have been doing some fork swapping between the 36 and the Lyrik. Prior to testing the 36, I’d been riding the Lyrik for a good few months beforehand to provide a good basis for comparison. I swapped forks with Barney, and he fitted the Lyrik to his Santa Cruz Hightower, and I fitted the 36 to my Orange Stage 5. On my test bike, one of the first things I noticed was the difference in ride height. Compared to the Lyrik, it sits noticeably higher in the travel, with more support in the middle of the travel. This is great for high-speed cornering, as it doesn’t seem to dive as much. 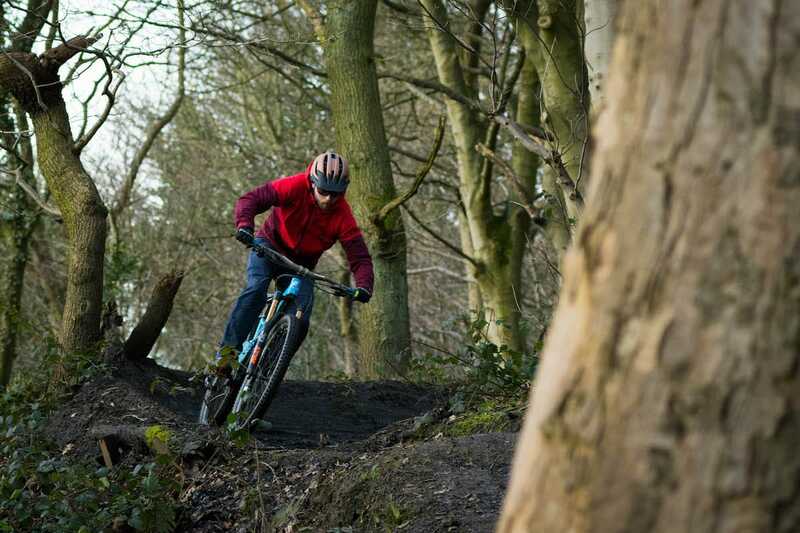 It’s also a boon on pitchier descents, where the 36’s steady behaviour avoids it from ploughing through the travel, keeping your head angle stable. The 36 doesn’t get greedy and gobble its travel too early. This is ideal for high speed turns. Small-bump sensitivity is superb. Compared to last year’s 36 fork, the new version is more supple and reactive across a wider range of bump frequencies and velocities. It’s not a massive difference, but it is a noticeable refinement to the action. I’ve often found previous 36s to feel over-damped, but that isn’t the case here at all. The 36 doesn’t quite have the buttery-plushness that the Lyrik oozes, but it is very close, and unwanted stutter vibrations are filtered with ease. Thin off-camber roots looking like they’re going to trip you up? The 36 grinds them down for you. Big, bean-bag sized rock slabs coming at you a little too quickly? Those are very kindly shrunken down to a manageable size. On these bigger and more consequential hits, the 36 feels stout in all directions. The strong chassis keeps the front wheel tracking where it needs to go, so you can hold a line with confidence. Without doubt this fork is smoother and more responsive than last year’s 36. There is excellent support on flat-landings too. I never once bottomed out completely, only ever coming within about 5mm of full travel. Even on those hits, the 36 remains composed and controlled – it never feels like it chokes up or that any of the travel becomes unusable in the situations where you need it most. As a go-fast, go-hard fork, the 36 is absolutely brilliant. ‘Compared to Wil, I’m physically almost at the opposite end of the riding spectrum. I’m not nearly as light or nimble – I slowly grind up things that the Bearded Panda™ scampers up like jet propelled monkey, and when descending I use my collapsed-star mass to bludgeon my way around things that Wil simply floats over like a discarded crisp packet in a stiff breeze. The big 36mm diameter stanchions track beautifully. ‘As a result, our requirements in the forkular department are somewhat different. I prize stiffness above all things, I’m not as overly concerned with small-bump sensitivity, I like forks that sit up and don’t dive – or at least that I can twiddle with to achieve the same effect, and I like to be able to fiddle with high and low speed compression damping. 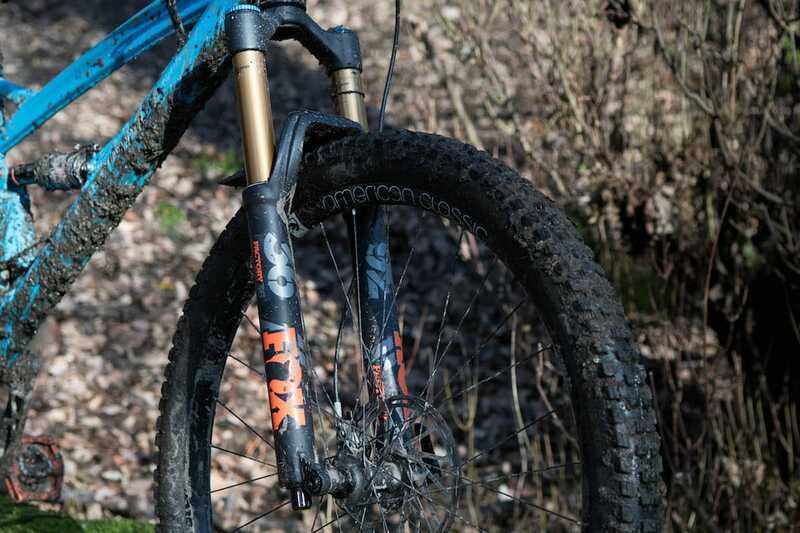 The Fox 36 is still one of the best long travel forks money can buy. 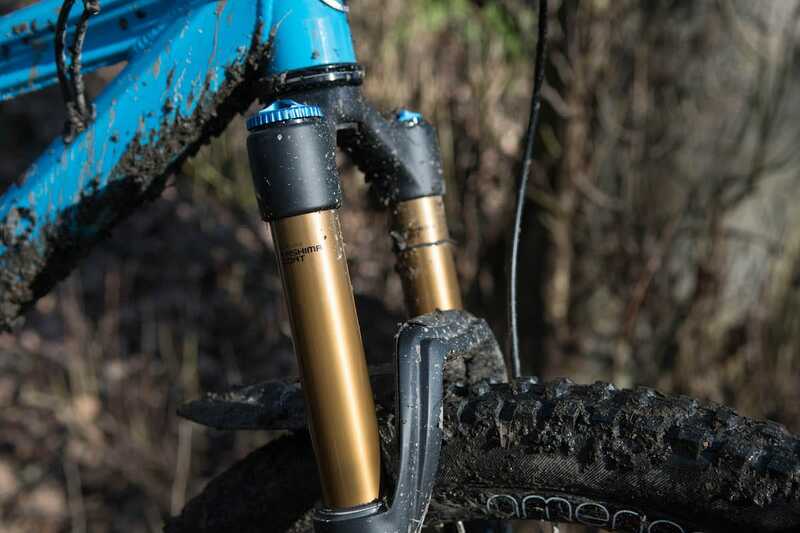 With its slick gold stanchions and smooth eggshell black lowers, the 36 is a very good looking fork. Fortunately it’s very well made too, which you’d expect for the price. If you like adjustability, the HSC/LSC model has it in spades. Personally, if I was going to plump up for a new 36 fork myself, I’d elect for the simpler FIT4 model, and likely in the cheaper Performance Elite version too. Whatever the model though, the new 36 has improved small-bump sensitivity for slow-speed tech riding, while retaining excellent support and stability for warp-speed walloping. 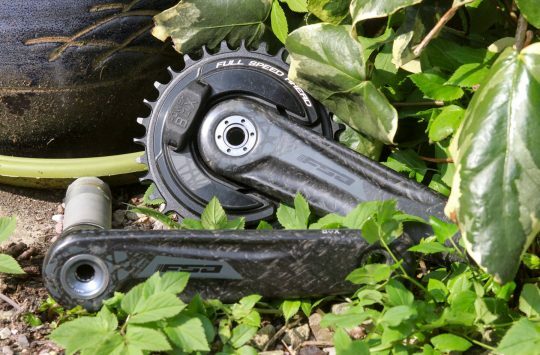 It’s a very, very impressive high-speed performer, and one that is surely up there as one of the best long-travel trail and enduro forks going. @howsyourdad1 – Thank you for the kind words! And I agree with you on the Performance Elite version – that’s the one I’d go for personally, as it offers virtually the same performance for less monies.